Gov. Tony Evers touted his proposed changes to labor laws in Wisconsin before a crowd of union members in Madison on Friday morning. 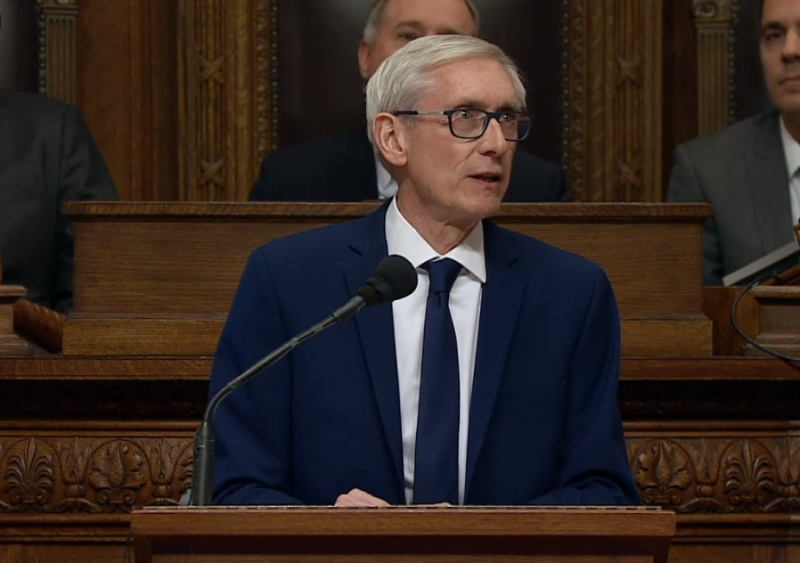 In his first public appearance after introducing a sweeping, $83.4 billion state budget Thursday evening, Evers argued in favor of his plans to undo many of the rollbacks on union power passed during the Walker administration. "We're going to begin to undo the harm that has been done to organized labor," Evers told the Wisconsin AFL-CIO Building Trades Conference. Under the governor’s plan, Wisconsin’s right-to-work law would be undone. Signed by former Republican Gov. Scott Walker in 2015, the state’s right-to-work law bans mandatory union membership at private businesses. Evers’ plan would also eliminate the state’s rollback of the prevailing wage. That law, passed in the 2015-17 state budget, took away minimum salary requirements on state-funded construction projects. "Our goal is to do the right thing for the workers of Wisconsin," Evers said. Evers is also calling for a $15 per hour minimum wage on state-funded projects. The governor’s plans aren't very likely to pass the state Legislature, which is still controlled by the Republican majority that sent many of the labor law changes to Walker’s desk. Republicans have been quick to push back on Evers’ budget, calling it a "liberal tax and spend wish list." Notably, the governor did not propose any changes to the most high-profile rollback on union power signed by Walker — the changes to collective bargaining rights known as Act 10. During his campaign, Evers said he would move toward a full repeal of Act 10 by going "piece by piece," beginning with right-to-work and the prevailing wage.